Dorothy Mettey Powers died peacefully Thursday, November 29 at Monsignor Bojnowski Manor, where she's lived the past five years. Before moving to Monsignor Bojnowski Manor in November 2013, Dorothy previously resided for more than 50 years at Fairway Drive in New Britain, where she lived with her beloved husband and Best Friend, Robert D. Powers. Bob Powers predeceased Dorothy on May 4, 2010. Dorothy was the daughter of the late Louis P. and Mary S. Mettey. 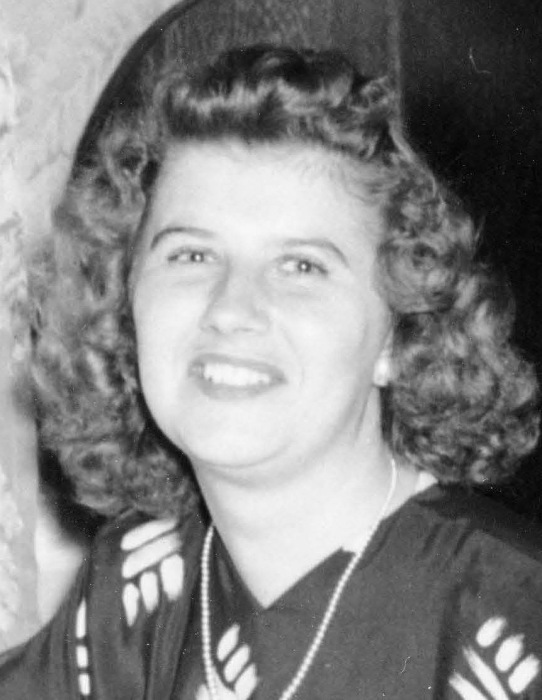 She was born in New Britain on May 23, 1925, attended St Mary's School, Nathan Hale Junior High and graduated from New Britain Senior High School in the Class of 1943. Following high school, Dorothy graduated from Moody's Secretarial School and she was employed at the executive offices of the American Hardware Corp. and the W.L. Hatch company. She was a member of St. Francis of Assisi Church, St. Francis Ladies Guild, New Britain Council of Catholic Women, St. Agnes Guild and New Britain General Hospital Ladies Auxiliary. Dorothy is survived by two cousins, Laverne Lombardi of Anniston, Alabama and Maryann Malsheske of Collinsville, CT and also by her close friend, Czeslawa A. Domanska of Farmington, CT. She is also survived by her husband Bob's two sisters, Maureen Plourd of Port Orange, Florida and Nancy Brignoli of Deland, Florida. Family and friends are asked to meet at St. Francis of Assisi Church, 1755 Stanley St., New Britain on December 6, 2018 at 9:30am to Celebrate a Mass of Christian Burial. Interment will follow in St. Mary Cemetery, New Britain. Luddy-Peterson Funeral Home is assisting the family. In lieu of flowers, donations can be made to Monsignor Bojnowski Manor at 50 Pulaski St., New Britain.